Hoik off the cap, pour it out. Observe that topping of fluffy white head, check out the 15ish EBC golden colour. Get down and dirty with that nose of yours, inhale deeply. What do you get? POW! Bright, bright hops: ozoney, bracing walks on deserted windswept beaches; tart lemon, comely sprigs of tarragon, the enticing pungent note of finest Dutch nederweit. Heady stuff indeed. Taking a sip brings a brief sweet ‘n’ dry malt distraction before 50 or so IBUs of bitterness mounts an assault on your senses; but this is just the warm-up act…after that a ton of hoppy sour-grapefruit rinds and crushed pine needles queue up to prickle and provoke the back and sides of your tongue. After a short while the bitterness is back upon you and redoubles as you swallow. The aftertaste is bitter and citrus-piney and goading you to drink again and again. Punk IPA is like this, but not as joined up. 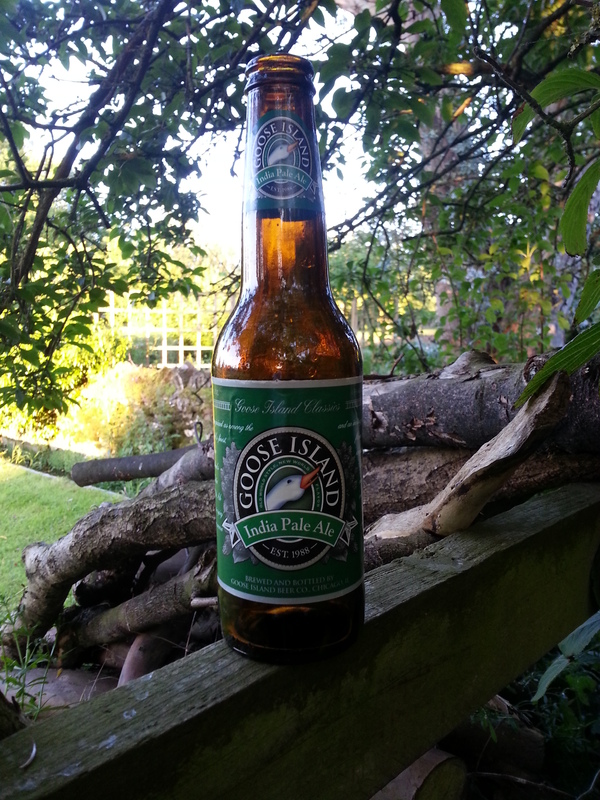 Goose Island IPA is modern classic. Don’t buy it if you see it…actively seek it out and buy it. I got my bottle – the empty of which I wept over as I put it in the recycling bin – for £1.80 from everyone’s favourite supermarket shysters: Sainsbury’s*. Well it’s been sat in the fermenter for seven days days now, so I thought it’s be time to give it the old gravity check and dry hop routine. Taking off the airlock let out a good aroma of hops, and quite a strong yeasty smell. I hope to lose one when I keg, and keep the other…guess which? Sean is an uber-god when it comes to brewing science, and his spreadsheet lets you just plug in the Brix measurement (look it up, I haven’t got the inclination to explain, and probably couldn’t adequately) from before fermentation and then after; the spreadsheet then works out the finishing gravity (FG) from these two figures, plus also giving you figures for apparent attenuation and all that good stuff and adjusts for the alcohol content. So it looks like I’m pretty much there fermentation-wise with an FG of somewhere around 1008 and an ABV of somewhere around 6.5% happy days indeed. Before screwing the lid back onto the ferementer I tossed in 25g of Amarillo, which should push the hoppiness along quite nicely. It’s going to sit there for another seven days, after which it’ll be going into the keg. I may fine it (depending on how cloudy it’s looking) as it goes into the corny. We’ll see. Crack the top off of the bottle to be assailed by possibly the best and strongest aroma from a beer you’ll ever come across: lychee, kiwi fruit, gooseberry, bitter lemon zest. Beautiful. How they manage to get this much aroma into a beer is beyond me. If you’re a home brewer, your only goal in life is to get this much aroma into one of your beers. It’s staggering. As I write this the glass is 18 to 24 inches away from me and I can still clearly smell it! All I can suggest is that aroma this big must involve some extraordinary hop rocket technology and literally dustbins full of dry hops. As you lift the glass to your mouth and admire the old gold yellow, your nostrils are assaulted once again by this wonderful aroma…meaning that the taste has quite a hard act to follow…which it manages to…sort of…but not in any way, shape or form that you’d expect. During all this, the bitterness is still running headlong hand in hand with that dryness…even the aftertaste persists as dry, dank and unusually long-lasting. I’m not really sure what to make of this beer; on the one hand it’s a tour de force in hopping, but on the other hand it all seems a bit out of whack…you know almost coquettish? One sniff and it’s all like: “oh yeah I’m all juicy fruits and hops like a craft IPA“, then you taste it and it’s a completely different kettle of fish; instead of the expected IPA hoppiness you get serious dry dankness. All I can say is get a bottle and see what you think. I’m so firmly on the fence I simply couldn’t say…all this mystery, complexity and frankly, weirdness, in a 3.8% beer is quite beyond my ken. I got my bottle from Sainsbury’s (again) but, you know, every little helps…oh, hold on. That’s the other one, isn’t it? It was £1.80 a pop which, I suppose, is reasonable. As far as stirring sea battles go, you can’t beat Trafalgar…and as far as beers celebrating this particular British naval victory go, you can’t beat Hook Norton Brewery’s Flagship. Hook Norton is only about five or six miles away from where I live and I’ve had the pleasure of visiting the -still family owned- brewery on a couple of occasions. It appears lost in time, and retains so many original features that are still in daily use. If you’re ever up this way it’s well worth a visit. Flagship pours with a lovely polished brass binnacle colour, a hearty but steady-as-she-goes bottle-conditioned effervescence bears aloft a stable head the colour of a Napoleonic flag of surrender. Admiral hops contribute to a subtle hoppy aroma that could almost be that of Nelson Sauvin (and I’m not just saying that for the sake of the Nelson reference!) crisp white wine, lemon and pine feature strongly. The first taste was a broadside of extraordinarily clean bitterness, which blasted across the poop deck to leave a satisfying, and not at all cloying, malty character and a tot of alcoholic warmth; all of which quickly dissipated at the swallow to leave a really fresh bittersweet citrus dose of grapeshot hops to the back of the tongue. This is a really great English style IPA, with just the faintest influence of the American style craft IPA. At 5.5% it’s a bit of a dreadnought, but it’s so well crafted that you’ll barely notice the strength – until you’ve had three, after which you’ll be pitching, rolling before eventually finding yourself wallowing in the troughs. Buy some if you see it; take it out on a boat, don an admiral’s hat and eye-patch if you must, but definitely try it. My wife bought this for me, from somewhere…probably the co-ey, as she goes past there on the way home. She did tell me that it was about £1.95 or something. Which I think represents excellent value. What do you think it’s like living next door to Michael Palin? Straight out of the bottle it’s a startlingly clear and the colour of not oft’ seen autumn sunshine…nose-wise, it’s a bit sulphurous and a bit hoppy; which for some reason brings to mind Wadworth’s 6x. 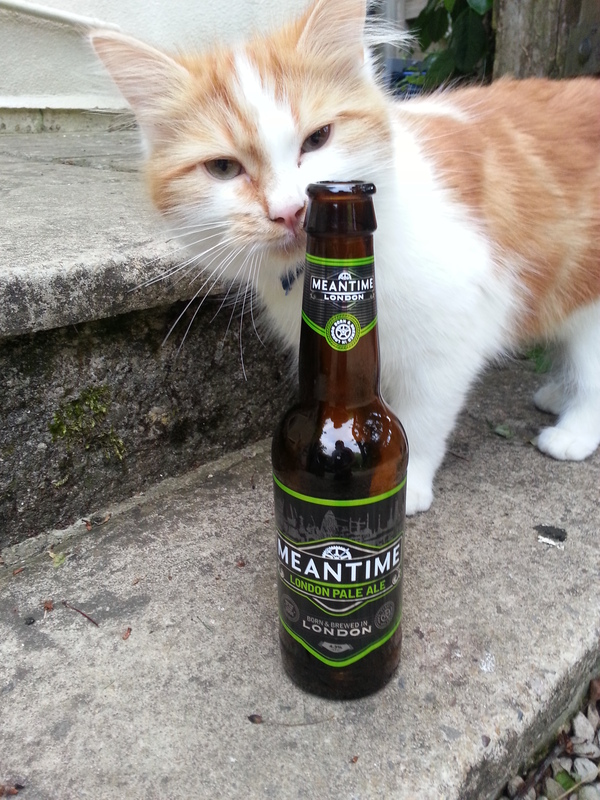 I bet if you got a couple of bottles in, one for you and one for your neighbour Palin, he’d happily come ’round, sit in a deck chair in your garden, kick back, engage in amusing but witty conversation and it’d be all so terribly English and civil…just like the Meantimes London Pale Ale. I got my bottle from Sainsbury’s for the princely sum of £1.79, as I felt I was worth it. 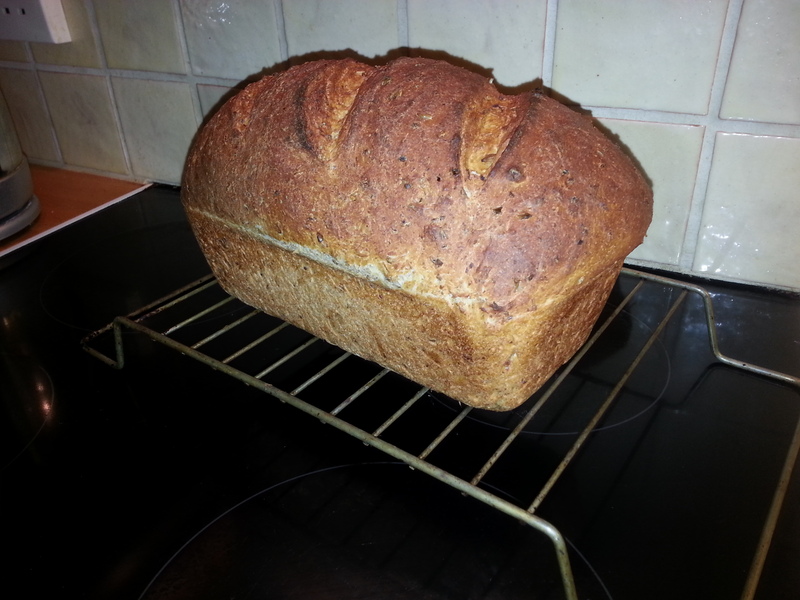 Bread from a brew day! 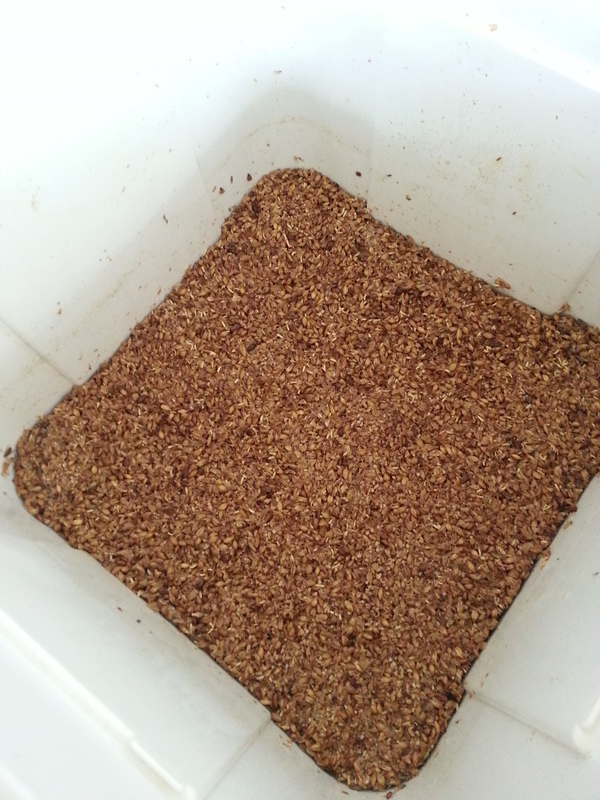 One of the depressing things about an all-grain brew day is having to throw away a large quantity of spent grain – sometimes around 6 or 7 kilos. I can get rid of about half of it to our chickens, who tend to go a bit mad for it…but what to do with the rest? I know, I know. It’s an awful name. But I’m tired and I’m not feeling very imaginative. But given a two hop brew what more can you do? 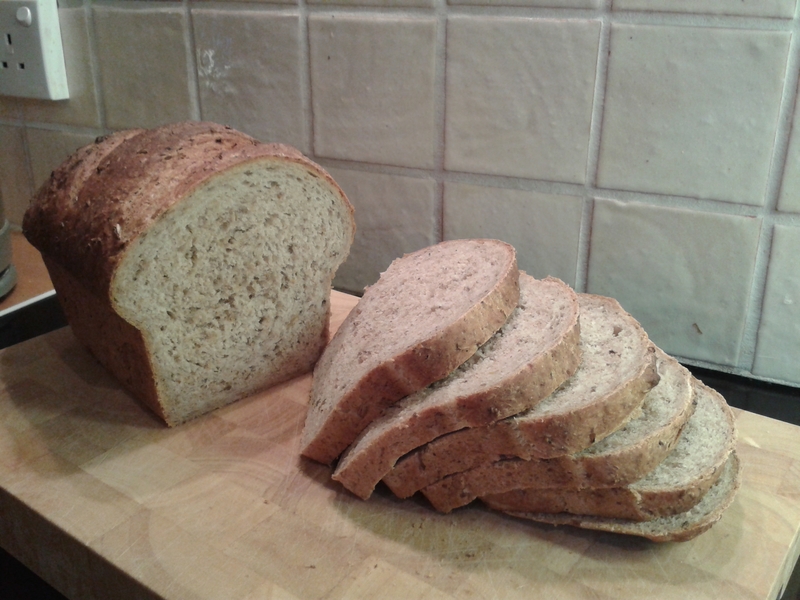 Fortunately when I concocted the actual recipe (below) I was feeling imaginative! Maltwise, I wanted to use Belgian pale malt for the distinctive malt character that it would impart, as opposed to something like Maris Otter, which I didn’t think would be entirely appropriate. I wanted to get a little extra in the mouthfeel so I thought I might give the old Vienna malt a whirl, too. Hops-wise, and this being an American IPA style, it had to be big and punchy so Chinook for bittering and aroma, backed up by masses of Amarillo for taste and aroma. 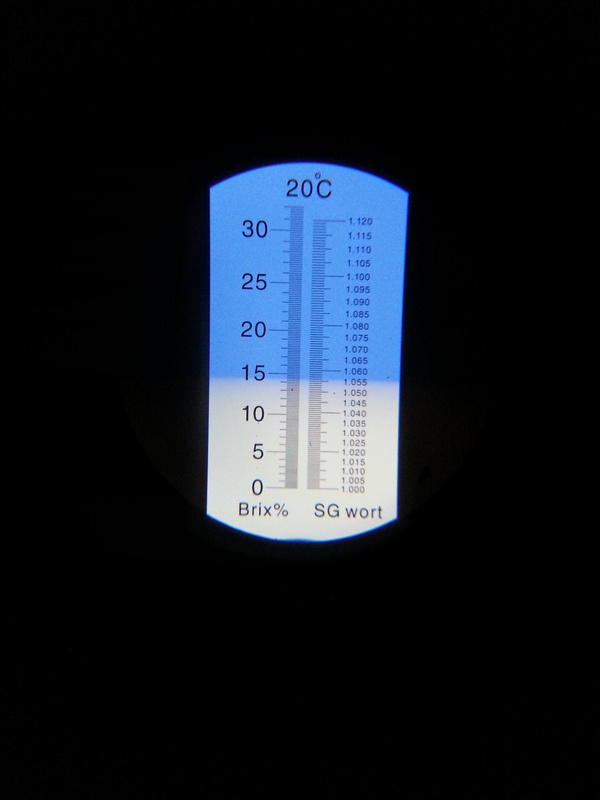 For yeast I went with US-05 as it gives me just the right sort of clean flavour profile…i.e. 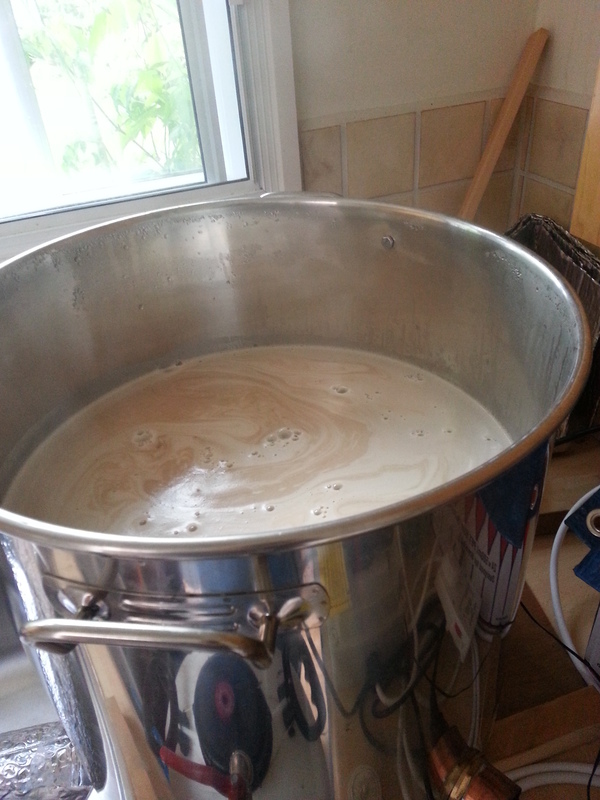 not too much character, leaving plenty of spacefor the hops to pop. The boil went on at 8.20pm with the first hop charge, and the subsequent charges followed according to the recipe. 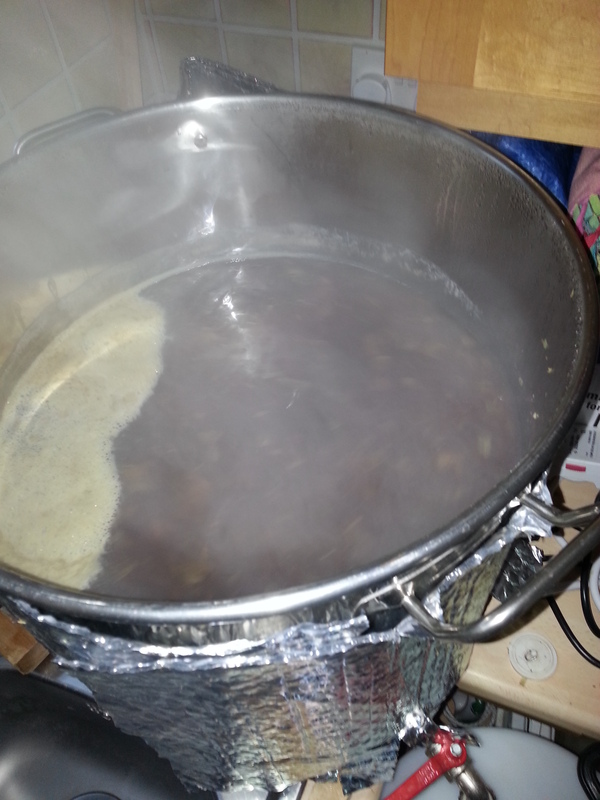 It’s now merrily bubbling away at a nice 18C in my spare room. Soon I’ll be hitting it with a generous 25gm dry hop of amarillo which should spice things up nicely.